Designed to stimulate and evoke frank, open and meaningful conversations centered around how to harness the power of disruptive technologies to transform our landscape and create measurable impact. The session commences with tough questions around how we better define impact metrics - specifically within the context of gender smart tech investing. Subject matter experts will then lead “deep dive” small group conversations that explore investment trends and game changing ideas in AI, Machine Learning, Blockchain/Crypto and Digital Identity that are shaping the future and driving meaningful impact. We sum up this Wild Card Session by collectively co-creating key practical takeaways that participants can implement within their respective companies and organisations. ...a Founding Shareholder in the Women in Infrastructure Development & Energy (WINDE) Consortium, Africa’s largest women in infrastructure investment group. She also teaches Project Finance at the University of Cape Town’s Graduate School of Business. She’s a pioneer in NEXUS thinking and has been instrumental in the planning and development of innovative Smart City 2.0 projects in Africa and emerging Asia. Sharron was a founding board member of the Graca Machel Trust’s Women in Finance network and is a member of the Brains Trust of UnitedSucces, a global network of high impact women entrepreneurs. She sits on the Katerva Awards Council for Social Innovation. In 2015, she was recognized by the Tony Elumelu Foundation for the development of the Launchpad, an AI driven tech platform for enhancing access to STEM education. She earned a Doctorate Degree in Law (Columbia University), an honor degree in Finance from the University of Toulon (La Garde, France) and a B.A. in Economics (College of William & Mary). ...the Los Angeles Cleantech Incubator (LACI) and chairs LACI’s Diversity in Entrepreneurship Advisory Council. In addition, Ms. Gray is the founder of the non-profit We Are Enough (WAE). WAE’s only mission is to educate ALL women on how and why to invest in women-owned, for-profit businesses or with a “gender lens.” Ms. Gray was named one of the 50 “Women of Influence” in business in Los Angeles, a LA Business Journal Women’s Council & Award nominee and is featured in the recently released book “200 Hundred Women: Who Will Change the Way You See the World” and the Robb Report article "Tracy Gray Invests in Women." Ms. Gray was formerly Senior Advisor to the LA Mayor, an investment professional at a venture capital fund and a systems engineer on the Space Shuttle program. Ms. Gray holds a B.S. in Mathematical Science with an aeronautics emphasis from the UC Santa Barbara and dual MBAs from Columbia University and UC, Berkeley. ...Entrepreneur-in-Residence at Johnson & Johnson Innovation and an M&A banker at Goldman Sachs. Carina has presented works on the societal impacts of emerging technologies at the Serpentine Gallery and sits on the curatorial committee of the new Science Gallery in London. She also sits on the technology committee of the Royal Academy of Engineering and the venture capital committee of the BVCA. Carina studied moral and political philosophy at Oxford. ...the British Blockchain Association, Global Adviser on Digital Transformation for Abt Associates, and Section Chief Co-Editor Blockchain for Good: for Frontiers in Blockchain. Dr Jane is adviser to Blockchain start-ups with social impact applications that solve global problems, currently working with start-ups to develop Blockchain use cases in emerging economies. 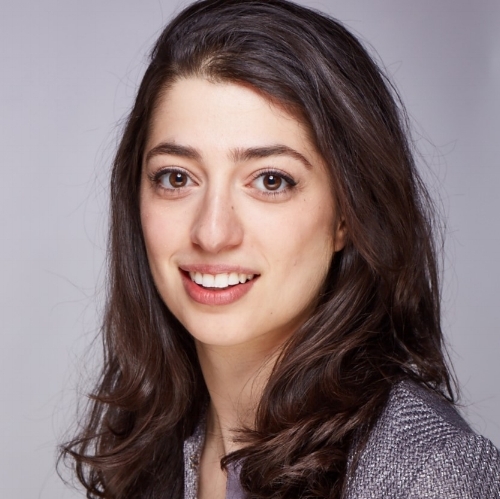 She is a regular hackathon judge and mentor including London Blockchain Week, London Fintech Week, and Consensys Blockchain for Social Impact Coalition Hackathon and EOS Global Hackathons. She has 30 years’ experience in emerging economies in public health, poverty and inequality, initially with Asian Development Bank and World Bank. She started her own international development company in 1999 and built it to a $50 m revenue company, and merged with Abt Associates in 2013. Since the merger, she led the growth of the company to achieve a tripling of revenue and diversification into new sectors to $250m Revenue Company with 650 staff across Asia and the Pacific. She has previously held senior appointments including Director of Women’s Health, CEO of the Royal Children’s Hospital, Brisbane, and Chairman of the Wesley Hospital Board, Brisbane and Commissioner on the Commission of Inquiry into Child Abuse in Queensland Institutions.